Now that you're engaged it is time to find the perfect wedding venue for your perfect day. Getting married in Dubai means endless options for your wedding venue; from hotels, to wedding halls, beaches, beach clubs, the deserst, and lots more. The tree-shaped Palm Jumeirah island is known for its glamourous hotels, lavish apartment towers and upmarket global restaurants. 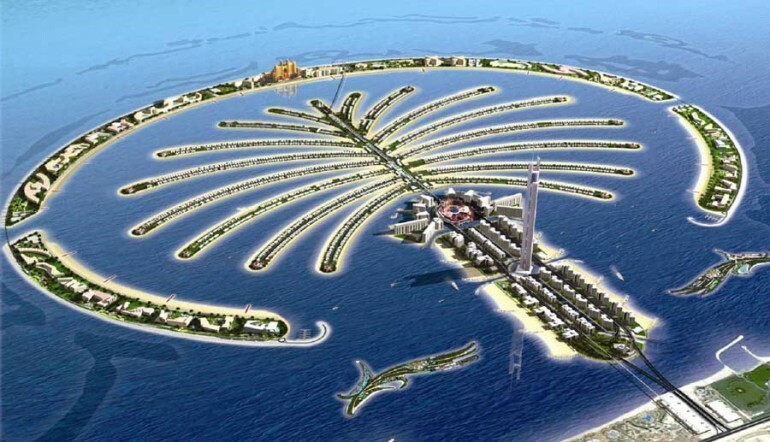 The Palm Jumeirah is also popular for its amazing views of the Dubai coastline and Burj Al Arab hotel. When it comes to weddings in Dubai, Atlantis is the ultimate destination boasting with enchanting indoor and outdoor venues, delicious cuisines and dedicated wedding specialists. Atlantis offers a number of luxurious venues to facilitate your every need. From the elaborate and spacious Atlantis Ballroom, to our picturesque and romantic private beach. In addition, with the creative ability of the dedicated events team and award-winning chefs; Atlantis The Palm promises you and your guests a truly unforgettable wedding. Atlantis has a variety of unique and special wedding packages to suit every couple's requirements. The Atlantis Ballroom can accommodate gala dinners and events for up to 2,000 guests, with 8 metre high ceilings and direct access to the impressive Royal Terrace. Personalised service, meticulous attention to detail and cutting edge creative design are the trademark that Atlantis The Palm brings to every event. Set on the renowned Palm Jumeirah island against a breathtaking backdrop of the sea, beach and Dubai skyline, this dare-to-be-different hotel captures the glamour and vibe of this remarkable city. Five Palm Jumeirah Dubai is a lifestyle hotel bringing glitz and glamour to the jet-setting social scene of the city. With a beautiful romantic location and views across the Arabian Gulf and Dubai Marina Skyline, Five Palm has the choice of two ballrooms for your wedding in Dubai breakfast and your choice of a number of world-class restaurants to provide the catering. The resort promises a luxury beach location like no other. Sofitel The Palm's sparkling ballroom is ideal for weddings. Enjoy specially designed menus, state-of-the art lighting and sound systems. 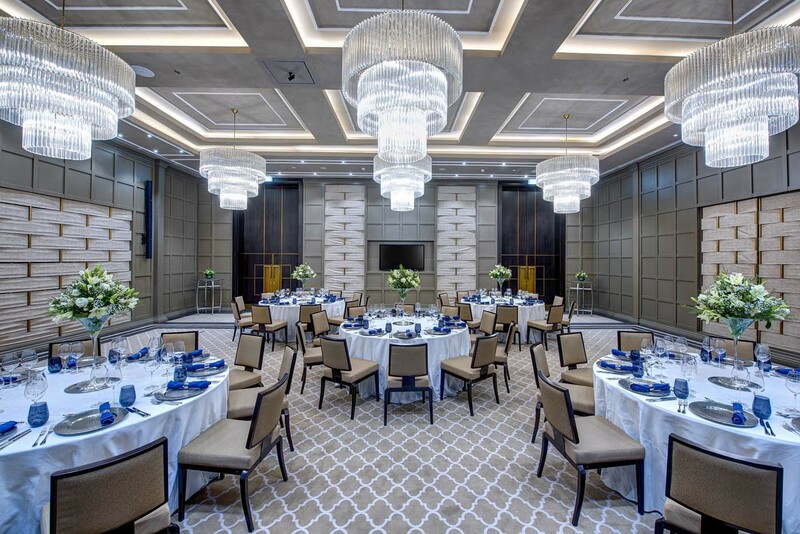 The classic elegance found within the halls of our Waldorf Astoria Dubai Palm Jumeirah wedding venue will leave you and your guests with a lasting impression. 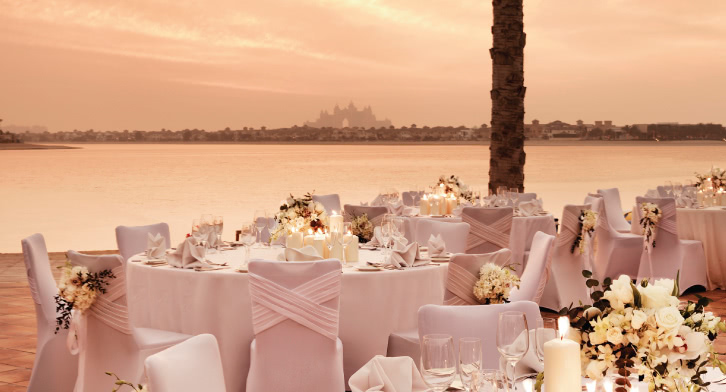 The stunning Waldorf Astoria Dubai Palm Jumeirah provides an idyllic destination for the wedding of your dreams. Revel in meticulous attention to detail, inspired catering services and seamless organization by their expert staff, all within a setting of glamorous beach resort luxury. 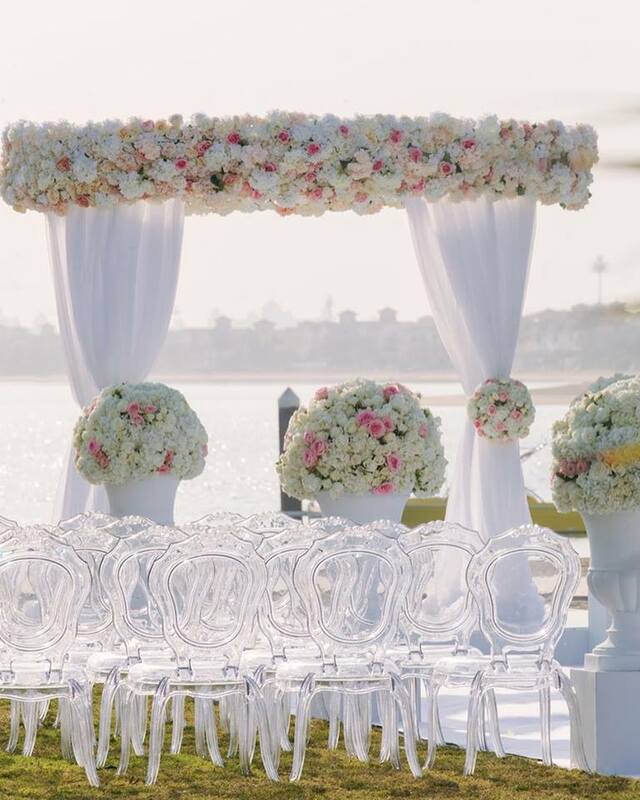 The beautiful white sands of the private beach and the azure waters of the Arabian Gulf beyond provide an ideal backdrop for intimate outdoor weddings and the impressive grand ballroom provides a spectacular venue for grand occasions, unforgettable wedding ceremonies and magnificent receptions tailored to your specifications. Located in the iconic Palm Jumeirah in Dubai, the award-winning Jumeirah Zabeel Saray is an ideal location for a fairytale wedding. Enjoy the ceremony amidst the tranquility of the private shores. The azure waters and an exquisite gazebo overlooking the sunset will add to the romance of the event. A dedicated team of wedding planners will closely work with you to turn your wedding into an occasion you and your guests will cherish for a lifetime. 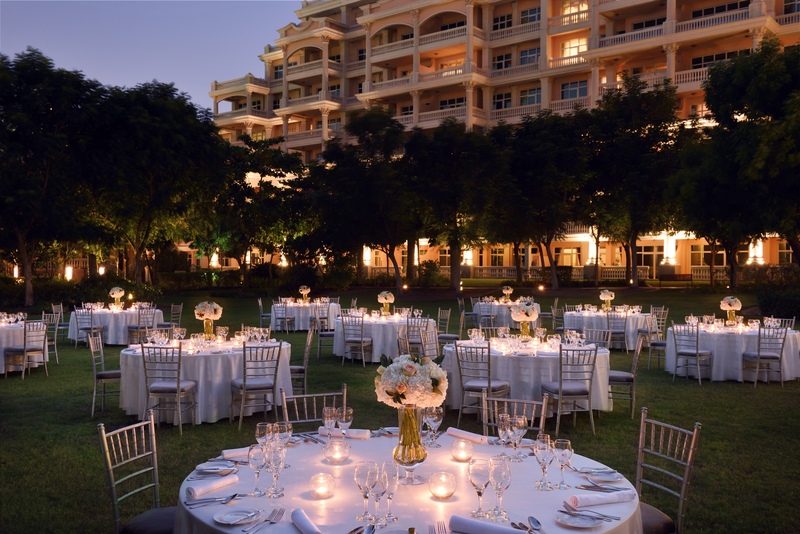 From stunning indoor and al fresco venues with gorgeous décor to a delectable selection of your preferred cuisine, you will be spoilt for choice. Set the scene for a lifetime of happiness with celebrations in your choice of stunning island retreats. Join together under infinite clear skies, perched over lapping Arabian waters. Anantara ceremonies can be seamlessly tailored to suit your most intimate desires in a variety of dream locations across the resort. Exchange vows barefoot in golden sands against an intense Arabian sunset. Or gather in lavish interiors for the finest of ceremonies, from breathtaking contemporary rituals to an extravagant banquet and Arabian entertainment. And set out onto a shared horizon as the sun goes down, before starlit dining with your nearest and dearest. Surrounded by the crystal-clear waters of the resort’s infinity pool. With a dreamy sandy shoreline for you to take your first bare-footed steps as bride and groom, Rixos The Palm Dubai has everything on your list for a secluded sun-soaked paradise for beach-loving brides. With a spacious shoreline and private landscaped gardens, Rixos Beach is the popular choice for an intimate sunset ceremony on the sandy shoreline or a moonlit gala celebration on the manicured lawn for up to 1000 guests. The garden adjacent to the secret swimming pool is a super romantic hideaway where you can create an outdoor aisle amidst the canopy of trees. Indoors, couples also have a beautiful choice of venues including L’Olivo Ristorante boasting floor-to-ceiling views and marble-clad interiors for a lavish reception of up to 150 guests. Renowned for its breathtaking panoramic views of the azure Arabian Gulf, the luxuriously adorned Grand King Suite is another obvious choice for an intimate reception of up to 20 guests in the opulent indoors or a larger after-party of up to 50 guests in its expansive terrace with a Jacuzzi. For a dramatic and unforgettable setting that puts you center stage on your big day, Fairmont The Palm offers an elite collection of unique venues for wedding celebrations. Choose the sea view Garden with its sparkling Dubai Marina skyline backdrop; the exclusivity of the Arabesque-inspired Palm Courtyard; a private event space for a more intimate gathering; or go all out in the opulence of the Palm Ballroom, with space for 350 guests for a seated dinner or 500 for a standing reception. Bring your wedding celebration to the beach and seaside. Make your dream beach wedding a reality with the help of Kempinski Hotel and Residences Palm Jumeirah. The five-star hotel on the Palm Jumeirah archipelago offers a secluded setting with exceptional views of the Arabian Sea, Dubai skyline and seascape. With so many picturesque backdrops, such as the luscious green gardens and a dramatic staircase for that spectacular first entrance. What's more, the range of options available at the hotel means that you can have a day that is totally created around you. From beachfront suites to private spa days, a wedding at Kempinski Palm can mean a holiday for your wedding guests as well as, the opportunity to experience your wedding day in total luxury. An elite destination for all manner of special events. Enchanting and elegant, on the magic shores of a pristine peninsula, chic celebrations herald a lifetime of happiness. Every detail of your extraordinary day, brought to life just the way you always imagined. 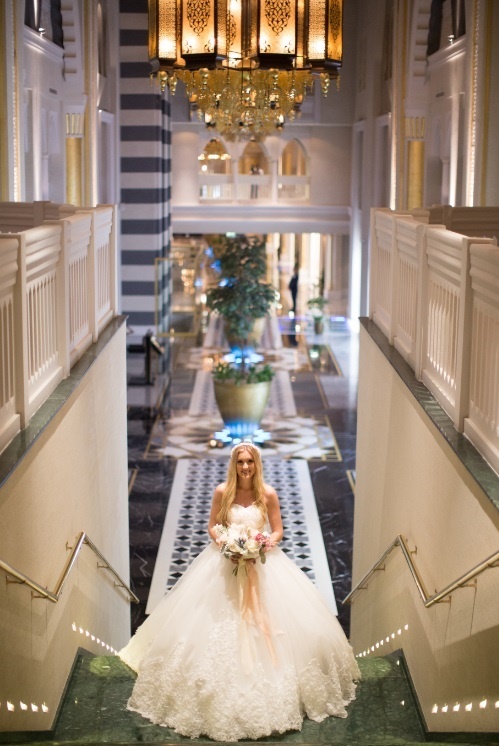 Dukes Dubai has that perfect, once in a lifetime setting for your magical day. Whether it be beautifully classic in the hotel, or on the grounds’ stunning private beach against a backdrop of the spectacular Dubai Marina skyline - this is where memories are made.